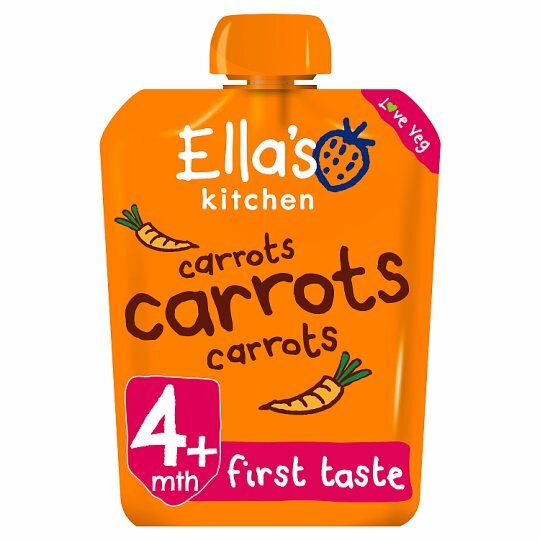 Hello, I'm made from organic carrots steamed in water to make me just the right texture for tiny taste buds. My ingredients are suitable from 4 months. I'm perfect for babies' very first tastes or mixed into pasta, mashed pulses, meat or fish for older babies. The Government advises that you don't need to wean your little one until they are 6 months. Every baby is different! Keep me in a cupboard. Once opened, I can be kept in the fridge for up to 48 hours., I can also be frozen.